Jim Lynn served eight ye ars as a minister and evangelist for the church of Christ. He holds a degree in Sacred Literature from White’s Ferry Road School of Biblical Studies. In 1990-91, Jim served as a missionary to Russia and Ukraine. While in country he lectured on the Nature of Christianity at Russian State Medical University, Moscow, and taught a course on Bible at Dnepropetrovsk State University in Ukraine. As a result of his work, many souls came to believe in the gospel and were baptized into Christ. Upon his return to the States, Jim began a two year Bible study to better understand the relationship between one’s faith in God and their physical and emotional well-being. As a result of his study he wrote, The Miracle Of Healing In Your Church Today , a non-denominational study devoted to putting God’s Word back into healing and healing back into the Church. An accomplished writer, artist and public speaker, Jim has appeared on numerous radio and television shows, including the World Broadcasting Network in Franklin, Tennessee. In 1989 Jim illustrated the Good News gospel magazine, published by We Care Ministry. Jim is the father of two children, a former Air Traffic Controller of 16 years, An Air Force Veteran, an Eagle Scout in the Boy Scouts of America, a recipient of Most Outstanding Young Citizen Award, and Letter of Commendation issued by the Federal Aviation Administration for averting an imminent collision between two airliners. In 1968, Jim raised over one million signatures opposing the atheist, Madelyn Murray O’Hare, in her effort to ban the transmission of reading the Bible and praying over NASA radio. For his effort Jim was invited to be an honored guest at a NASA Apollo Mission Banquet. 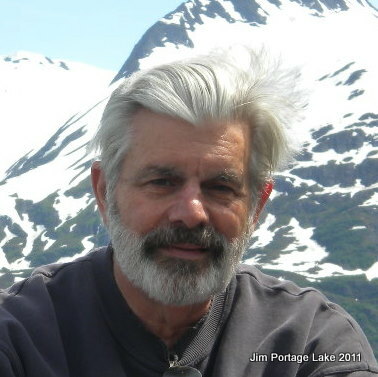 Semi-retired, Jim now lives on a wooded mountain side in Alaska with his wife. i was wondering if you can pray for me a healing? Get Well Soon, giving credit to the author and website? you even if the reply is negative. Articles so far which I like is – If I were Satan and Pharmakeia! Best wishes to you and your book project. You are welcome to publish any of my articles.